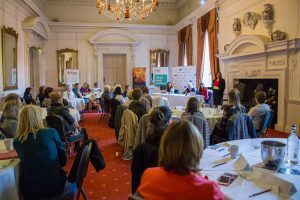 Following on from the successful launch of the Coventry and Warwickshire Woman Who Achieves Awards in April 2016, many local women in business have asked for a Network to inspire, celebrate and hear about the achievements of other local women in business. The Awards are now an annual event and are open to women in business nationally. 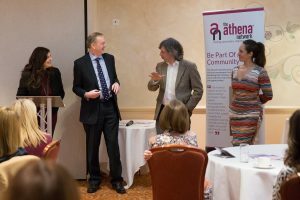 The 2019 Awards are now open for entry and will be celebrated at an Awards Lunch on 7th June 2019 at Coombe Abbey Hotel. 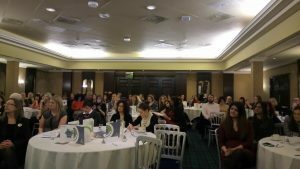 The Woman Who Inspires Network has now been running regularly throughout the East & West Midlands and delivered in partnership with the FSB (Federation of Small businesses). 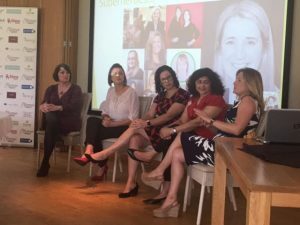 Join us at one of our Woman Who Inspires Network events where you will hear from inspirational and senior women in business who work in their own businesses and women who have achieved in their careers in large organisations. There will also be an opportunity to network, make new connections, meet Awards Winners, Finalists, Judges and Sponsors. Sandra Garlick, the founder of the Woman Who Achieves Awards, has been appointed to the FSB’s National Women in Enterprise Taskforce. She will also highlight issues faced by women in business and feed local information back to the Taskforce. This is not a membership organisation and there is no criteria to attend. Attendees simply book to attend each event. Men are also very welcome. There is a relaxed Agenda for each event which follows a similar format. The time is specifically set to allow those with travel, childcare and caring responsibilities to attend.